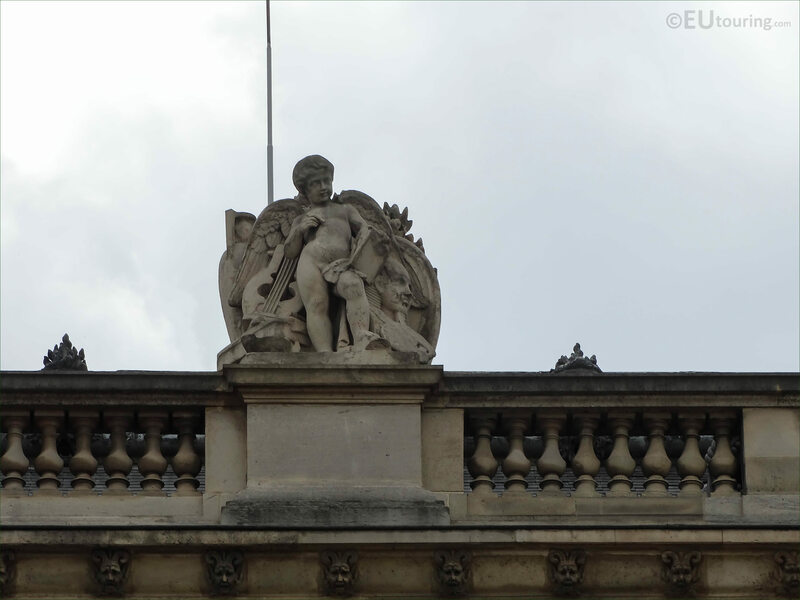 While we were in the 1st Arrondissement of Paris at the Musee du Louvre, we took these high definition photos showing a statue called Les Beaux-arts, which was sculpted by Jean Bernard Duseigneur. 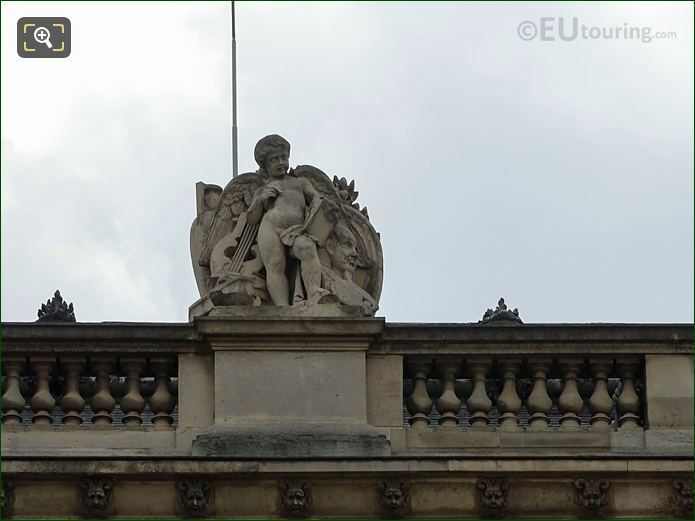 This first HD photo shows a statue called Les Beaux-arts that was sculpted in stone between the years 1855 and 1857 and placed on the top level balustrade by the roof line of Aile Mollien. 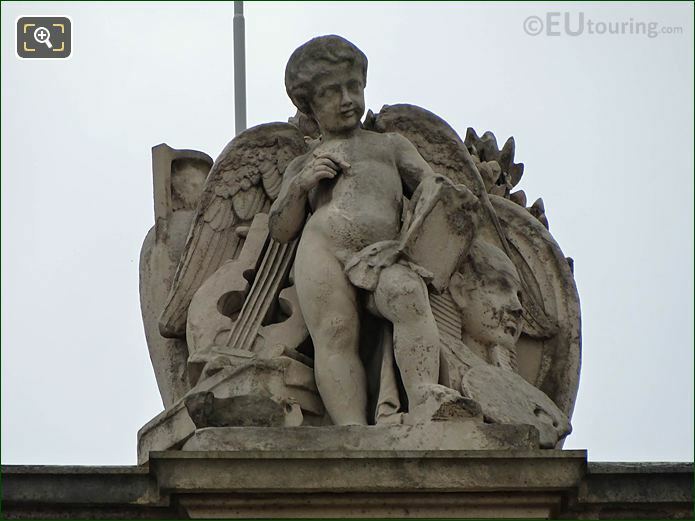 And when you are looking at this facade of the former Palais du Louvre from the courtyard called the Cour Napoleon, you will see that this has been positioned eighth from the left hand side, or third from the right, as one of many children with attributes statues designed during the same period. 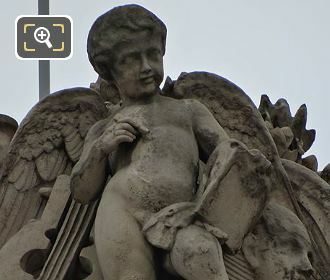 Here you can see a close up photograph showing some of the detailing for this allegorical statue that represents The Fine Arts, which as you can tell, includes items related to music, writing such as poetry, sculpture, art such as painting and the theatre. 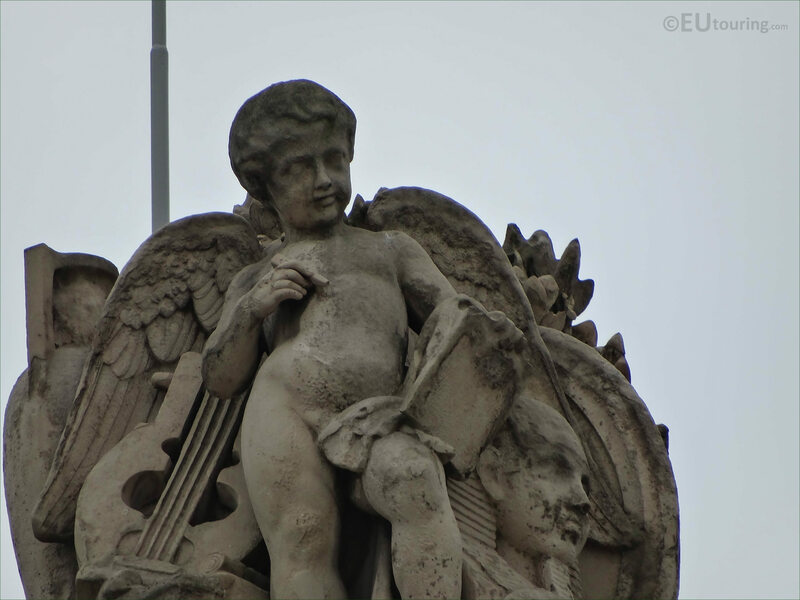 Now this particular Fine Arts statue found on the exterior of the Louvre Museum was produced by Jean Bernard Duseigneur, who was born in Paris in 1808 and became recognised as a romantic style French sculptor, although he initially studied classical sculpture at the Ecole des Beaux-arts under people like Francois Joseph Bosio. Yet, often referred to as Jehan du Seigneur, which generally translates in English to Jehan of the Lord, he became very religious and focused on statues and sculptures for numerous churches in Paris including the Eglise Saint Roch, Tour Saint Jacques and the Eglise de la Madeleine.